Photo credit: Morgan Delt’s musician Facebook page. I heard Morgan Delt’s music for the first time through one of Derek’s weekly playlists. Not once while I was listening to the track “Make My Gray Brain Green” on The LI$T, and then subsequently listening to Delt’s whole self-titled album shortly thereafter, could I have guessed that only a few months later I would be interviewing him at Austin Psych Fest. My mind wasn’t even entertaining those thoughts. I just remember liking his album as tracks like “Barbarian Kings” reminded me of weird blendy things, like All Killer from The Gaslamp Killer, but with decidedly less hip hop/ jazz, and more Eastern/Middle Eastern/Indian folk nuisances. You know, the kinds of sound you get out of that weird blendy area around Turkey. Anyway, life has a funny way of handing out unexpected opportunities, so as I worked on my list contacts for this trip, an opportunity to interview Delt presented itself. Even though I wasn’t super familiar with his previous material, I decided to make plans to meet up with him in Austin. After all, that’s what interviews are for: getting to know people. And talking about random things, like birds of prey, which will be relevant soon enough. 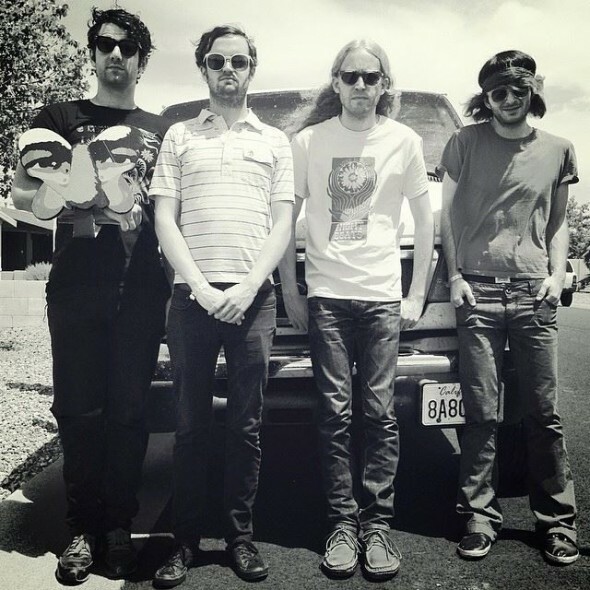 Anyway, Delt’s interview completes coverage on what has become OKC.NET’s yearly trek to Austin Psych Fest. OKC.NET: Have you been to Austin Psych Fest before? OKC.NET: How would you describe the creative process behind your last album? Delt: I usually start by coming up with a melody for the vocals, coming up with a bass line or a guitar riff, it always starts from something like that, then I just add stuff to it. Lyrics are usually the last thing I do. OKC.NET: Is that a natural thing for you, like lyrics should just come last? Delt: No, it’s like the hardest part for me. OKC.NET: Yeah, it’s not easy, you do have to Tetris them in there. Delt: Yeah, so I like to have the melody lead the lyrics. OKC.NET: I do remember liking the melodies on your album. Ok, so what kind of visual art appeals to you? 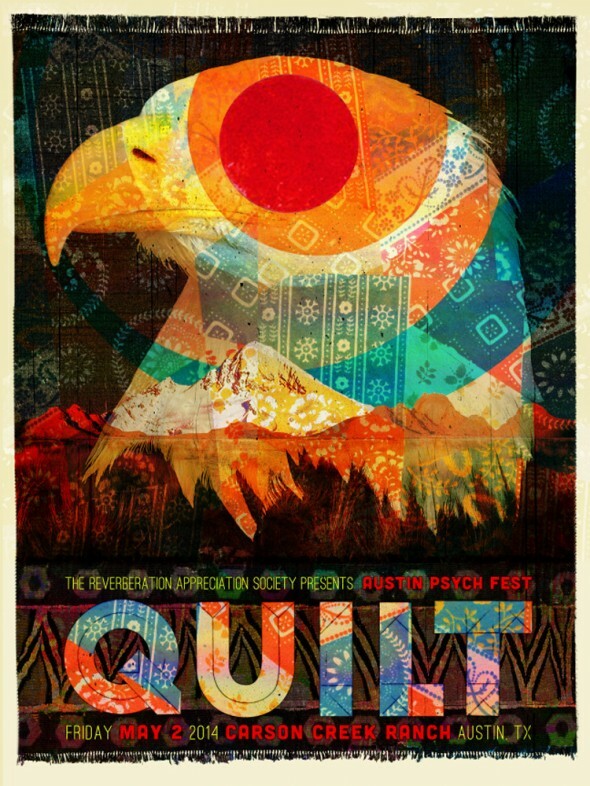 Delt: Well, they did a lot of cool posters for this festival. 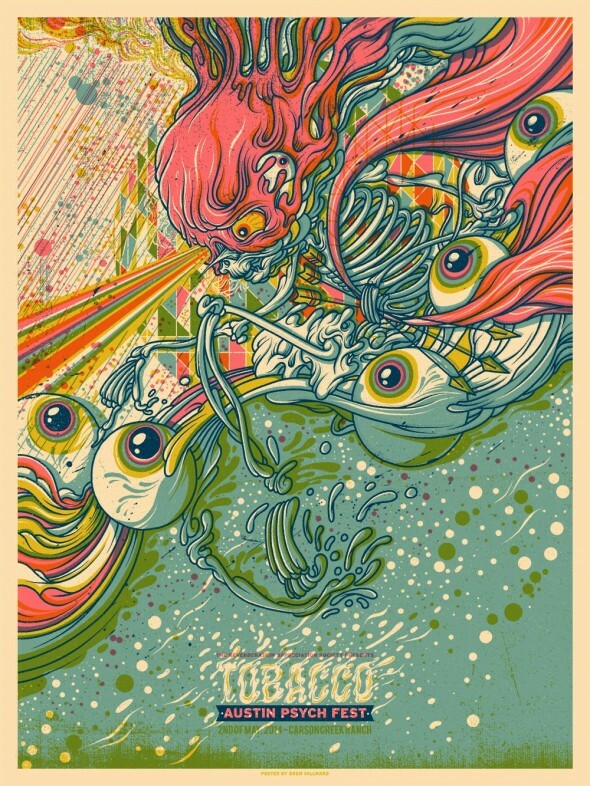 There’s a really cool Tobacco poster. OKC.NET: Oh, I haven’t seen it yet. I caught Quilt’s and really liked it. Delt: I haven’t seen that one yet. OKC.NET: It’s a patchwork Eagle graphic. Delt: Oh, wait I remember that one. Yeah, yeah, yeah. OKC.NET: It’s funny because I saw their poster before the festival, and since I’ve been here I swear I’ve been seeing a lot more of what I think are hawks up in the air with all the planes. Maybe more than last year. Delt: Yeah, they’re pretty. We were standing here a minute ago and there was a hawk hovering overhead. It was cool. OKC.NET: Yeah, it makes me want to Wikipedia it and see if there is a dominate species here, because it would be dumb to contact the festival PR in the middle of everything, and ask what kind of bird is up in the air, ya know? They have more important questions to answer. Delt: Yeah, you could look up the region and see what species is prolific here. There’s a lot of hawks where I live, and maybe falcons, although that not might not be true. There are condors too. They did find a condor. OKC.NET: Where do you live? Delt: Topanga Canyon, just outside of L.A.
OKC.NET: Is it really pretty out there? Delt: Yeah, it’s really cool. The condors used to be gone, but they’re coming back. They’re getting reestablished again. We seem to have gotten off on a tangent there. OKC.NET: Nah, it’s cool. That’s what makes it interesting about this festival. That and the planes. Delt: Yeah. When we were playing yesterday an airplane flew really low. It was crazy, like whoa what’s that. But you couldn’t hear it, which was kind of weird. OKC.NET: So what are your goals for Austin Psych Fest now – things you want to do, bands you want to see? Delt: There’s like so many bands I wanted to catch, yeah, I’ve caught some of them, and it’s just sort of hard with everything, but yeah, I just saw Doug Tuttle earlier, and that was great, the best thing I’ve seen. I want to see Earthless later tonight. And Loop. And Kikagaku Moyo. OKC.NET: What’s the best festival or show merch you’ve picked up recently? 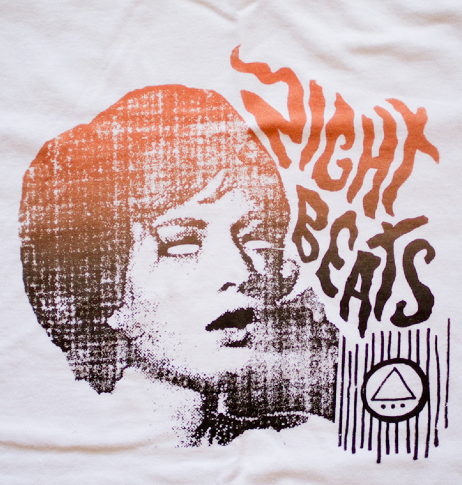 Delt: I just got this Night Beats T-shirt that was really awesome. I did a show with them in LA, do you know Night Beats? OKC.NET: Yeah, their song “Outta Mind” is one that’s on frequent rotation on some of my playlists. Delt: Yeah, so we played a show with them, but I was really sick with this bad throat infection, and I saw this T-shirt I had to have, but by the end of the night my mind was elsewhere and I went home without one. But I saw them here and asked if I could get one, and they were really cool about it and said yeah. OKC.NET: What song can you not get out of your head right now? Delt: That Avey Tare “Little Fang”. OKC.NET: Best food you’ve had? Delt: These fish tacos over by the river stage. OKC.NET: Favorite show you’ve played this year and why? Delt: It would have to be this. We’ve only played 5 shows since the start of the year. OKC.NET: This blows them all out of the water? You can follow Morgan Delt on Facebook here and catch updates about shows, interviews, and pics. Tagged 2014, Austin, Austin Psych Fest, Facebook, Morgan Delt, music, playlists, Psych Rock. Bookmark the permalink.